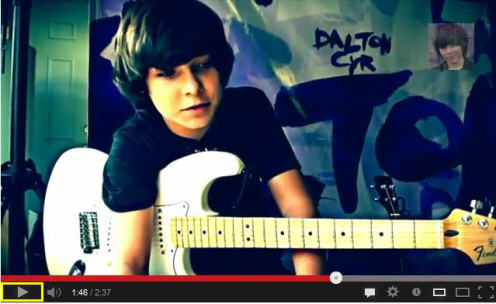 Dalton Cyr To Record With Legendary Producer Paul Fox in L.A.
One of the hottest upcoming teen singing stars on the scene, award winning singer/songwriter/ musician Dalton Cyr is headed for big things. It’s only been seven months since Dalton released his debut 11-song LP album, “I’ll Be There”, but the 12 year old recording artist announced he’s already heading back into the recording studio. Catching the attention of Paul Fox, who’s recognized as one of the most successful and creative producers in the music industry, Dalton will fly to L.A. and spend two weeks working with Paul Fox and recording new music this April. Paul Fox has a vast number of production credits including REM, 10,000 Maniacs, Rod Stewart, Ziggy Marley, Phish, The Wallflowers, XTC, and many more. Known for searching for the “next big thing”, Fox was introduced to Cyr through one of Cyr’s managers, Beth Broday, one of the original MTV producers, in November 2012. Cindy says that Beth Broday then met with Fox where he told her he was very interested in working with Dalton and wanted to record some new songs. 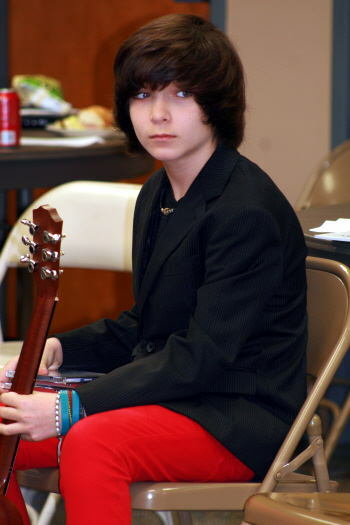 A prolific songwriter, Dalton has submitted six songs in the past two weeks, even more impressive when you consider he is also rehearsing for performances he’ll be doing in France, taking vocal lessons, guitar lessons and attending school with a one hour commute each way. Not to mention doing multiple interviews and photo shoots for his growing media attention with TV, radio and various publications. 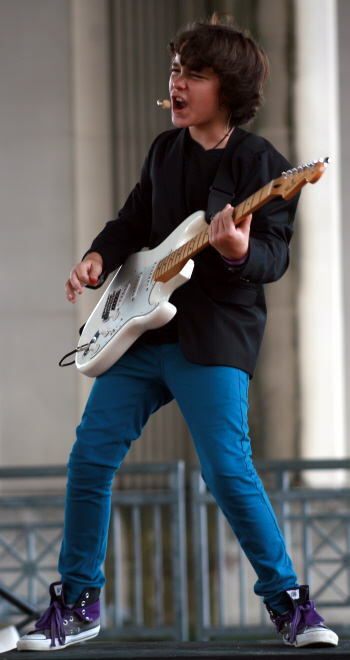 In fact, Dalton is scheduled to do a radio interview tomorrow Friday, March 15, 2013 at 7:00 pm Eastern on Blogtalk Radio’s Jammin Jukebox Show. You can also see his Friday November 16th appearance which was broadcast in two segments. (Segment One) and (Segment Two). Dalton is currently writing more songs to send to Fox prior to his arrival. Dalton says he likes to have a ratio of at least three songs written for every one song he records so that he and his producer can choose the best of the bunch to record. Not only will Dalton be working with Fox, but he’ll have the opportunity of a lifetime working with a line-up of some of the best in the business to record his new singles (release date TBA.) While he was unable to release all the details, Dalton did say that he’ll get to record with drummer Josh Freese, repeatedly hailed as the “Bruce Lee of drums.” Freese is easily one of the top three if not the top drummer in the country, having recorded on 300 albums with artists ranging from Sting to Guns and Roses to Avril Lavigne to The Dixie Chicks. But before he goes to L.A., Dalton has a packed schedule. He’ll travel to France to perform with LaVilla School of the Arts Choir. Doing four performances, he’ll perform in Caen and Paris. Dalton says he had hoped to do a solo performance and meet n greet with fans while there after being invited to perform at an art gallery in Paris, but had to decline due to scheduling conflicts. Upon his return from France and leading up to L.A., things won’t slow down for Cyr either as he has a packed performance schedule. No stranger to performing, Dalton does approximately fifty 45 min to one hour live shows per year. Rather than a choreographed performance, Dalton “wows” crowds with high energy and exciting shows that he changes up every time. From leaping up on tables and ledges amidst the crowd to jumps and spins on stage, audiences are captivated by the passion and liveliness he puts into his concerts. A highlight of his performance is when he chooses a girl from the audience to come on stage where he sings to her. On April 6th, six days after his return from France, he’ll perform on the main stage at Riverside Arts Market, one of Jacksonville, Florida’s premier destinations which draws over 5000 people. Next up he’ll open for award winning singer/songwriter/recording artist Colt Ford, whose newest album, “Declaration of Independence” debuted at #1 on Billboard’s Top Country Albums chart and landed on Billboard’s list of 2012 Top Country Albums. 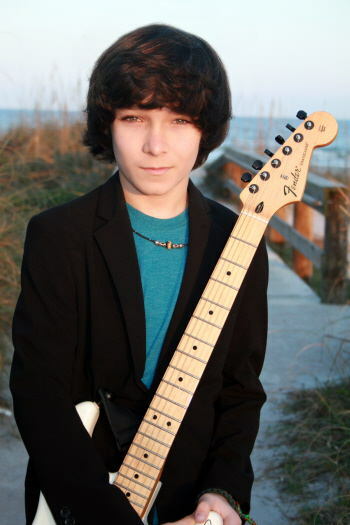 Cyr will perform on the main stage at the Clay County Fair in Green Cove Springs, Florida one hour prior to Ford on April 10th. On April 11th, he’s scheduled to appear on NPR radio in the morning and that night will perform a one hour benefit concert on the impressive and breathtaking Clubhouse Lawn at TPC Sawgrass, the top ranked golf course in Florida and home of The Players Championship. The concert will benefit Wolfson Children’s Hospital. While speaking about his benefit concert at TPC Sawgrass, Dalton says he wanted to do something to benefit Wolfson Children’s Hospital because the kids that are patients there have inspired him so much. He says, “When I hear what they have to face and what they’ve overcome, it makes any problem I think I have seem pretty small.” Dalton will provide a free concert and is asking for donations in lieu of selling tickets. He also plans to sell raffle tickets at the event, raffling off several high demand items including two items donated from Dalton himself: a dinner with Dalton for one lucky person and a private concert for another. 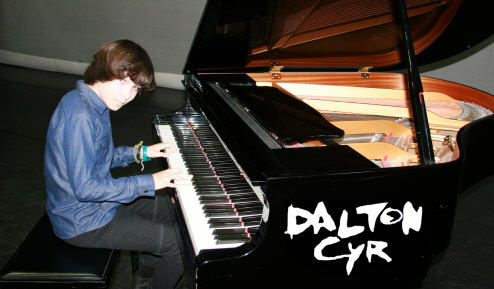 Dalton also regularly performs concerts to benefit charity. 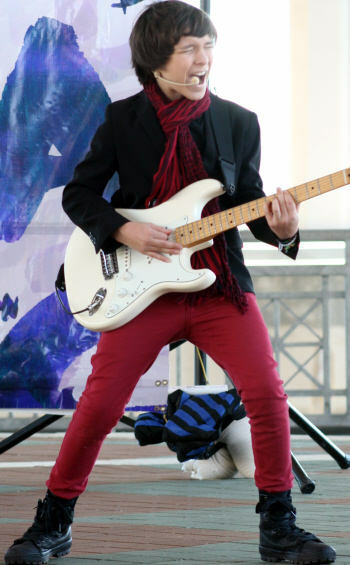 Last month alone, Dalton performed at Wolfson Children’s Hospital’s biggest event of the year. The event called One to Grow On has raised in excess of $1.5 million. He also did a telethon to raise money for Wolfson’s, did a concert to benefit the animals of the Humane Society, and performed at the 26.2 with Donna to end Breast Cancer, one of the largest breast cancer marathons in the U.S. drawing over 12,000 participants and 20,000 fans from all 50 states and 20 countries around the world. He says there are other things in the works some of which he can’t announce yet. But he did tell me that you can look for a new video game with his music. Music Monsters is due to release a video game with Dalton’s song “The Way It Should Be” this spring.